Hi, my name is Daraiha. I am a proud, Black woman who works at Google to create more diversity in tech. I'm also a dancer and an actress, and the founder of an organization that helps kids cope with life's challenges through art. 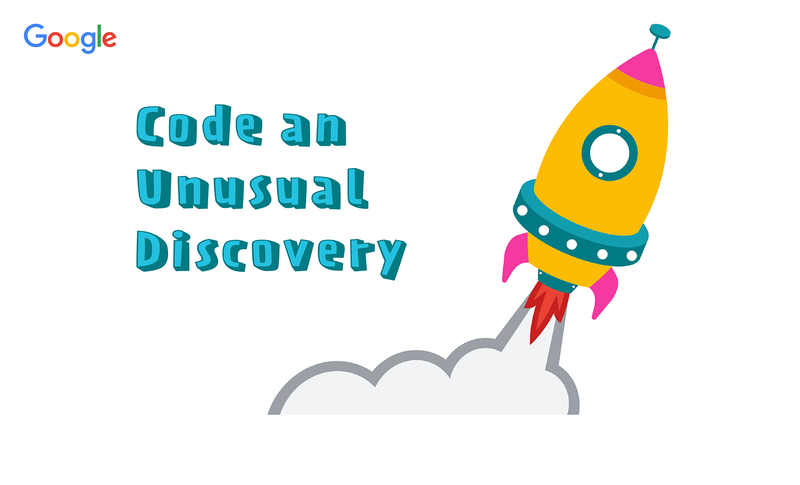 In this activity, you will use computer science to create a story about two characters that discover a surprising object. You will program your characters to talk to each other. You’ll also animate fun, silly, or spooky interactions between your characters and the unexpected object they find. Computer science uses code to make projects called programs. It’s a subject you can study in school, a career or something you can do just for fun. People use computer science to make music, create games, share memories, and find creative solutions to tough problems! To create your story, you will use computer science concepts, like sequencing. Sequencing means to put things in a specific order. You will tell your story using the Scratch website. Scratch uses code blocks to give characters, called sprites, instructions. This activity has different starter projects you can choose from. Each project contains a different backdrop and an exciting object to animate. After watching this video, choose a starter project. Choose two characters to discover the object in your story. Click “choose a sprite” and select your first character. Scroll through the library to find a sprite for your story and add it to your project. To flip a sprite so that the two characters are facing each other, click the costumes tab, the select tool, and the “flip horizontal” button. Click and drag the characters around the stage to move them. Next, program one of your characters to talk using say blocks. To add code to a sprite, first select it. Then select the Looks menu. Click, hold, and drag a “say for 2 seconds” block to add it to your project. To run this code block, click it! The sprite should say hello! Think about your two characters and what they might say to each other. Or perhaps they just met? Maybe they found the object in your story by accident. Change the value in the say block to what your character will say to start your story. In this example, the first character says “Whoa! Select the “events” menu, and drag out a “when flag clicked” block. Click the flag to test your code. Now someone can watch the beginning of your story by clicking the flag to start your program. This video showed you how to start a story with two characters that find an unusual object. To program your second character to respond to what your first character said, choose the Continue the Conversation video. Then select and watch another video to further your story. Curious what my characters discovered? Two characters find a trombone, and start dancing to my favorite song! Have fun with Hour of Code! It's time to get coding. Now, it’s your turn: Select and open a starter project. Add a “say” block to make one sprite talk. Add a “when flag clicked” block to start your story. Then, watch the videos below and complete the steps in your project to continue your story.